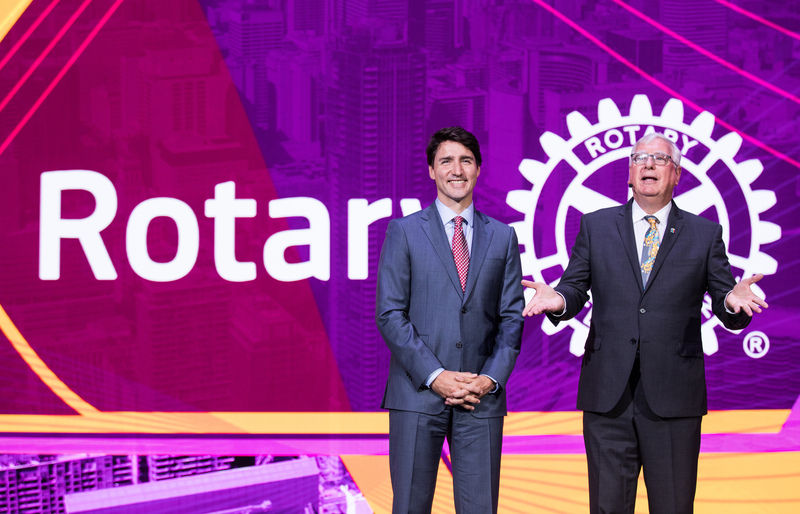 Canadian Prime Minister Justin Trudeau accepts Rotary’s Polio Eradication Champion Award at the Rotary Convention in Toronto. "It's clear that vaccination is a key part of the solution," Trudeau said. "Protecting kids from disease keeps them healthy so they can do well in school and lift up their friends and family."